Modern and highly technological custom cast iron pipe, fittings and couplings for the automotive, waterworks and agricultural industries. Best in class washroom accessories including toilet partitions, shower/tubs, hooks, shelves and Koala Kare childcare products. Enameled cast iron plumbing fixtures for commercial and residential purposes. Supplying terrazzo, acrylic and fiberglass shower receptors, stalls, mop receptors, utility sinks and tubs. For over 60 years, McGuire has been the plumbing industry’s leading manufacturer of commercial grade plumbing fixture trim. 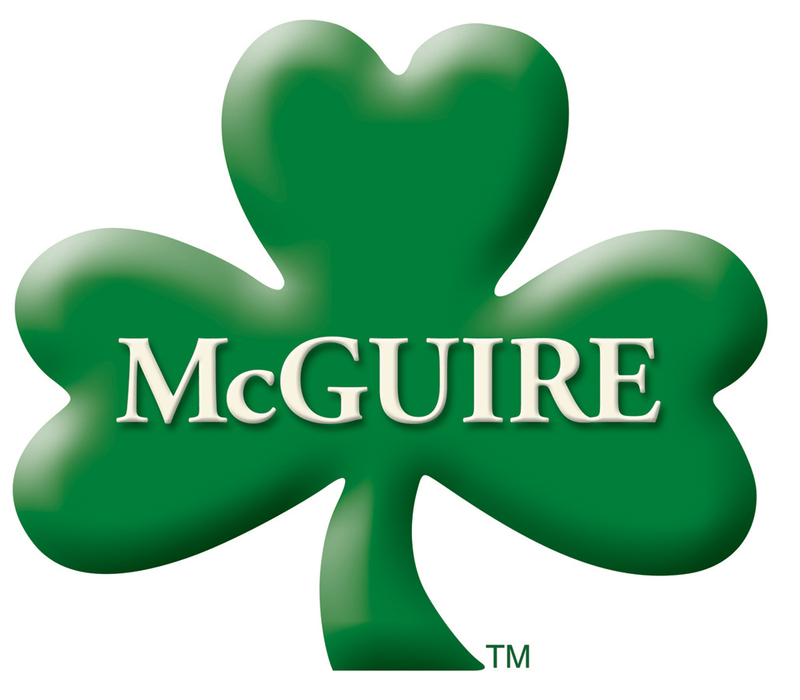 McGuire’s exclusive product lines include all brass commercial stops and supply kits with heat and chlorine resistant peroxide cured washers, heavy cast brass P-Traps, ProWrap seamless P-Trap and supply covers, specification grade drains and strainers, SANIGUARD antimicrobial treated P-Traps and drains, and an expanding line of low lead stops and supply kits. Manufacturer of a broad product offering of both stainless steel and solid surface products for the commercial, security, recreation, and healthcare markets including wash fountains, outdoor drinking fountains, vandal-resistant fixtures. High quality, budget sensitive, washroom accessories, toilet compartment accessories and baby care stations for commercial, hospitality and healthcare facilities. The innovative leader in the emergency eyewash and shower industry. The best resource for your emergency equipment needs. Manufacturer of commercial and residential plumbing bathroom and kitchen products including lavatory, sensor, metering faucets, service sinks, laundry faucets, tub/shower systems, shower heads, hand showers and thermostatic valves. 100% USA made unique, high quality, upscale plumbing fixtures made of acrylic, engineered solid stone and wood. A wide variety of tubs, whirlpools, sinks, shower bases, shower and tub enclosures, bath furniture and foot spas. Commercial bath waste and overflow, basket strainers and plumbing specialty products used worldwide for residential and commercial applications. A USA manufacturer of superior quality bathroom accessories and plumbing fixtures crafted from premium grade materials with high style design reflecting simplicity and elegance. Affordable, high quality line of residential and commercial plumbing fixtures and sanitary ware. Cost sensitive, diverse collection of residential and commercial bath products: bathroom collections, tubs, water closets, bidets. All manufactured in the USA.